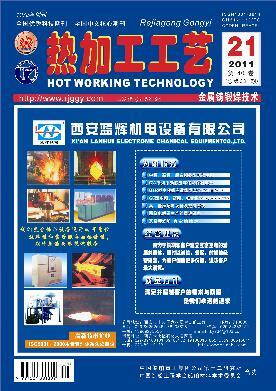 英文摘要：The microstructure and mechanical properties variation of Mg-12Gd-3Y-0.6Zr alloy as-extruded after T4, T5 and T6 heat treatment were studied through hardness test, tensile test and microstructure analysis. The results show that the hardness and strength of as-extruded alloy change obviously after different heat treatment. The yield strength and tensile strength for T5 treatment are 372 MPa and 403 MPa, respectively. The better mechanical properties are obtained for T5 treatment because the prismatic second phase largely exists in alloy. Although the age strengthening effect for T6 treatment is better than that for T5 treatment, the mechanical properties is decreased by the grain growth obviously.